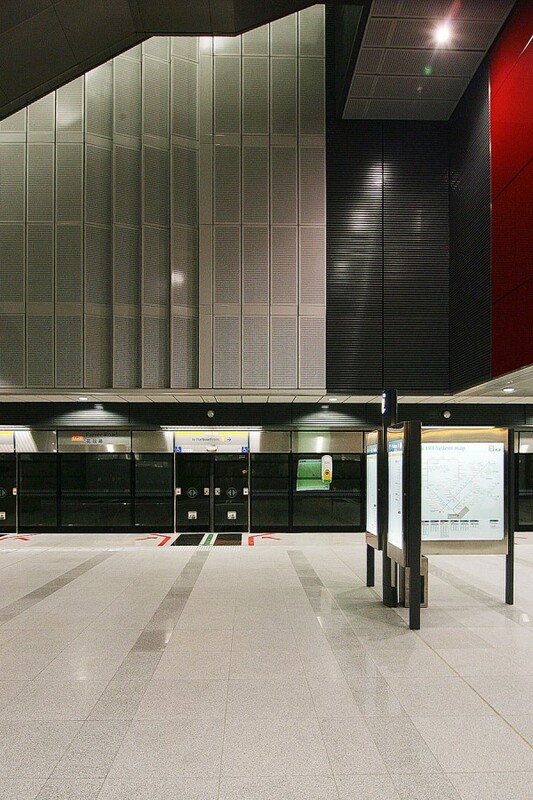 Farrer station situated at the residential area, junction of Empress and Farrer road. 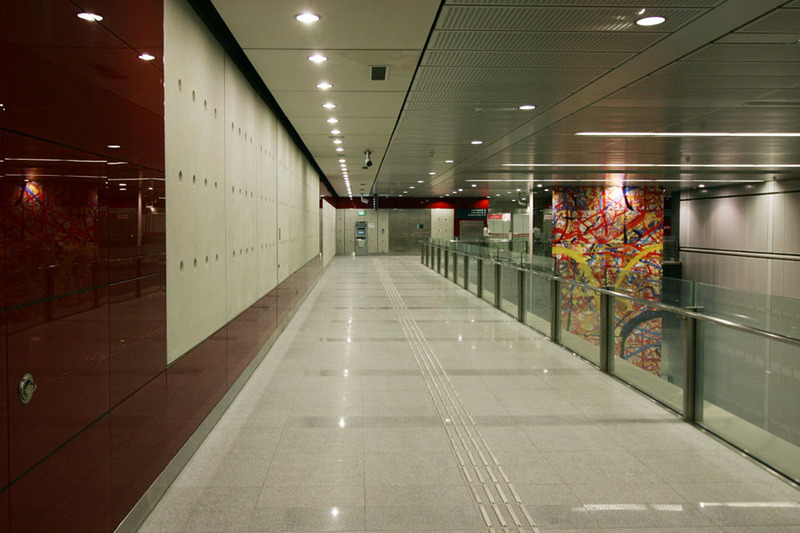 The station is a three level, underground station which incorporates an island platform and two entrances. The primary and secondary entrance located on opposite sides of Farrer road linked by an overhead bridge which has two lifts and one lift directly connected to station concourse level. The three vent shaft and cooling tower also located along the road, have minimal impact on the surrounding streetscape and residential area. The two entrances are created recognizable beacon in the streetscape. They expressed through the juxtaposition of planes and angles, complemented by the selection of durable materials, steel, laminated glass and granite. 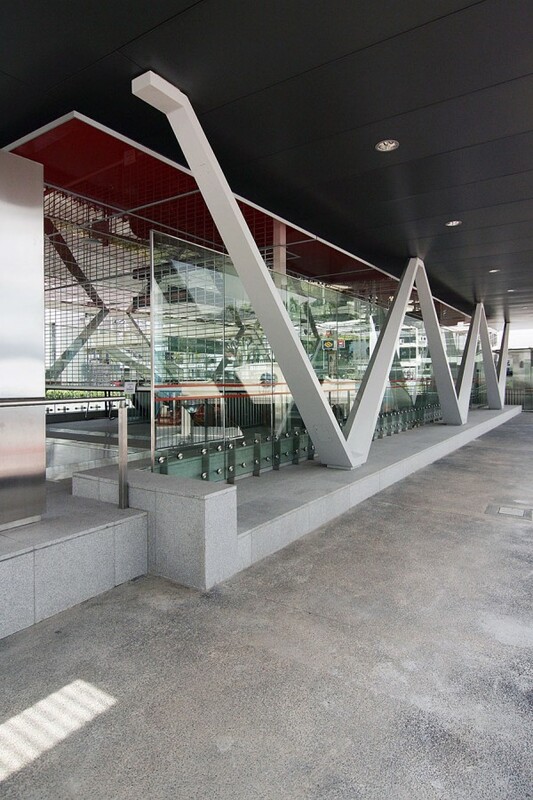 It is envisaged that by utilizing a series of pre-fabricated and machine components united in a minimalist manner by means of carefully detailed concealed fixings, these light weight entrance structures also reflected engineering aesthetic. The vent shafts and cooling tower structures have been designed to minimize their mass into a singular homogeneous louver boxes with minimal expression. 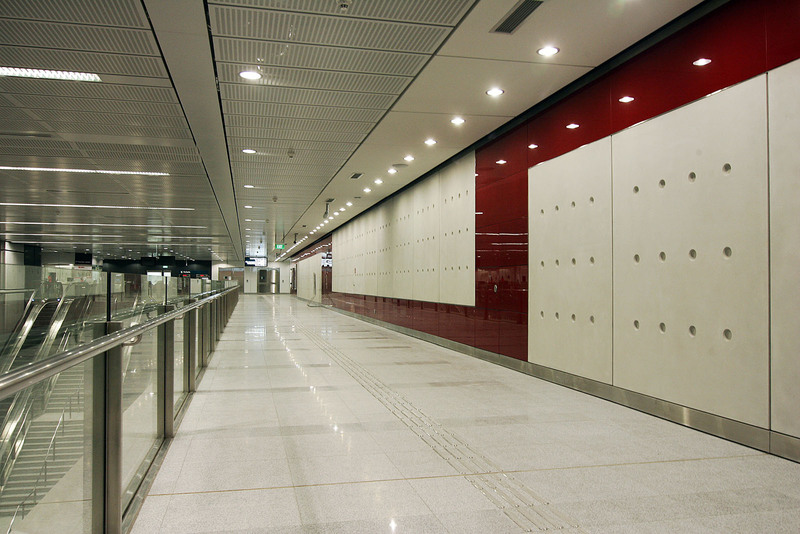 The public areas of the stations have been designed as column-free spaces to provide commuters with a visual link to the trains at platform level. 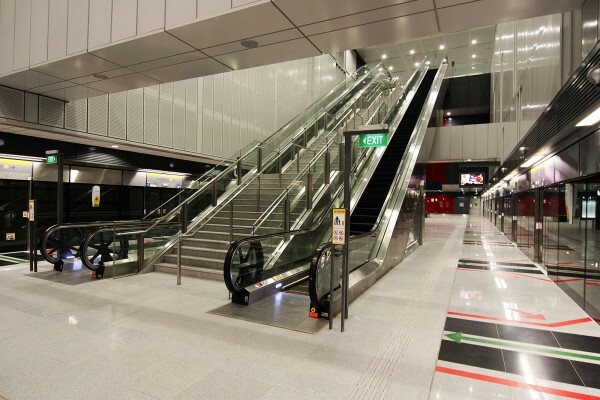 Inside station arrangement is incorporates a bank of escalators and an open staircase which rise through a large void offering good visual and physical connectivity between platform and concourse enhancing commuter orientation and way finding and minimizing travel distance and changes in direction. The glazed lift which has been located away from the main ticket hall and acts as a focus within the architecture space.